You need to have a solid Amazon sales strategy to make money with Amazon. Amazon has crystal clear selling policies and summarizes best practices for Amazon retailers within Seller Central. 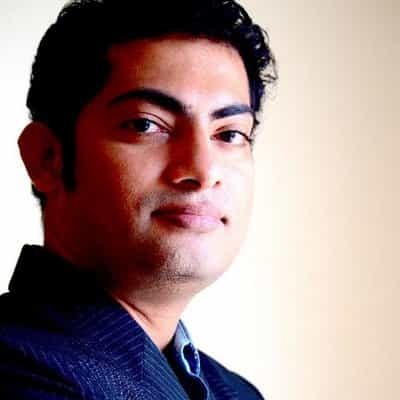 But many people are still worried to start, or won’t even look at, selling on Amazon as a new way to do business, due to lack of an Amazon sales strategy. Amazon is viewed as too overwhelming with the kicker that it could disrupt your existing e-commerce or traditional sales channels. This is absurd, of course. As expansive as the Amazon network is, the choice to sell on Amazon doesn’t have to be an all or nothing choice. This same logic would have barred Columbus from setting sail because he wouldn’t have time to map the entire world. With a well crafted Amazon Sales Strategy, you can successfully grow your business! It’s also worth mentioning that if your brand is of any significant size, the reality is that someone else will already be selling your brand on Amazon. The question for most brands is not whether they will have an Amazon presence, but rather what sort of presence will they have to protect their brand. No one needs to offer all their products on Amazon. Acquaint yourself with Amazon by just putting up a few products to start. Putting up a few products at the beginning allows you to learn some of the Amazon processes so you can ultimately rationalize or eradicate them while scaling up. It is likely you are training people for Amazon sales strategy or going through an Amazon-specific process for the first time. Give yourself a chance to be successful by understanding what you are doing before you try to improve it. For anyone still not sold on diversifying to Amazon, remember this: the reality is that your competitors are already selling on Amazon. How do you make sure your brand is part of the Amazon customer consideration set? If you’re not there, your competitors are eating up Amazon customer demand –– more than 200 million active customers and over $100B in sales annually. Accelerated shipping, feedback, ratings, optimization, and sponsored search are often new frontiers to your business. 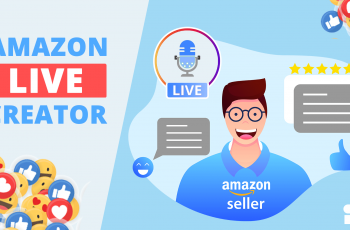 These are all legitimate concerns and demand the attention of a new Amazon seller’s, but wonderfully there are many solutions to these problems. Outsourcing these activities that are not your core strength is not only affordable but also quite effective. Thousands of Amazon professionals are available for $10-$50 per hour for a variety of services. In the same way, Amazon lets you create secondary profiles in your Amazon listing to outsource the management of seller central. 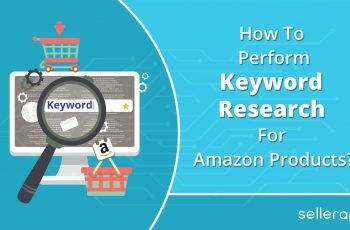 There are also tools like SellerApp that lets you automate and enhance the output of your amazon product research, listing optimization, Amazon PPC tuning and other activities while improving your productivity and Amazon sales. No one knows the business better than the business owner! 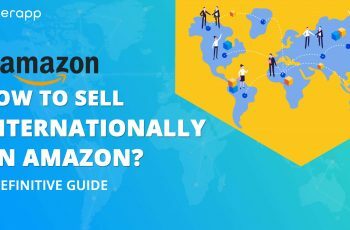 Joining Amazon can be intimidating, but by sculpting how one enters the Amazon marketplace in a way that fits your goals and company structure, it can be done with limited risk. Once the business is up and running, external tools like SellerApp and services can be used to simplify the selling process. 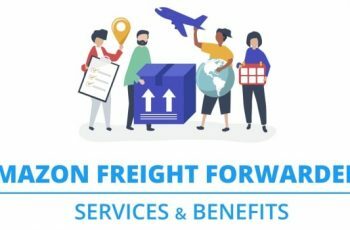 What options do you have while selling on Amazon? Amazon is a shopping site the same way a Swiss Army Knife is a knife. If you use it strictly at its basic level, you are missing out on 95% of its value. Think big when it comes to selling on Amazon and your success will be much bigger! You can make a bunch of money on Amazon with a lot less work by setting up your selling method correctly. Fulfilled by Merchant is the basic Amazon listing. 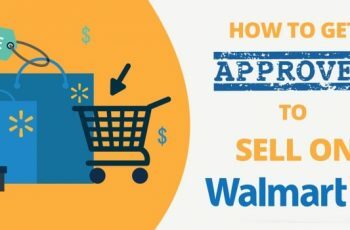 You create or jump on an existing listing for a product on Amazon while managing all customer service and take care of all the picking, packing, shipping, and returns by yourself. Use the Fulfilled by Merchant option as little as possible as your primary listing. 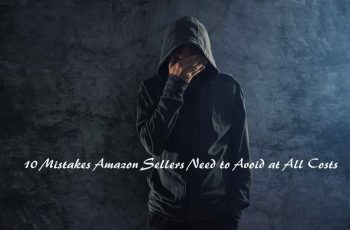 It is alright to keep a merchant fulfilled listing active as a backup for your inventory at Amazon’s fulfillment centers in case of stock outs, but that should be it. These offers carry the least weight in Amazon’s search algorithm. These are most often appropriate for really low-velocity sellers or super high-cost items you simply can’t afford to inventory. If any of your best products are fulfilled by merchant, especially in competitive categories, you are doing it wrong. If you want to see examples of these listings, simply submit a search of any product to Amazon and then dig to page 20 and beyond. Below is the top-selling outdoor ice maker on Amazon. Note three important things: it doesn’t sell often, it’s expensive, and it’s heavy. This is the appropriate use of fulfilled by the merchant. First, for it to be the best seller in a category and only have five reviews, that indicates that it’s not a major mover. This and factor number two: it’s price tag. Lastly, at 129 lbs., having it sent to you, then to Amazon, then to the customer may make any other method cost prohibitive. Now, when an item sells, Amazon automatically picks, packs and ships your items to the buyers (for a fee). Plus, they handle all basic customer service tasks such as tracking and returns. Using this method makes your items Prime eligible. This is attractive to buyers and Amazon’s search algorithm. 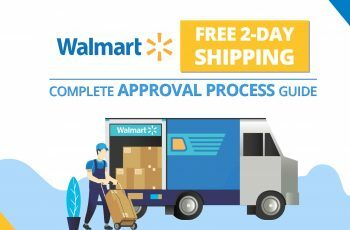 Use this method when you want to simplify the process of selling online and also maintain full control over the product listing information and price. This is particularly important for sellers needing to maintain MAP pricing because you set the price. The following seller has decided to purchase inventory and send it to Amazon. This must be with the hope that buyers who trust the brand will not care about the price if it is fulfilled by Amazon. But unless you are price competitive, these items will sit until their expiration day. If a buyer were to click “Add to Cart” for this item, they would buy from “Professional Grade Products” for $499. Note that as shown in the second image, this same item can be purchased for $399 (plus a little shipping) from a different seller. So, why does Amazon promote the $499 offer and make it the default choice for customers? Because it is Fulfilled by Amazon. Amazon’s search algorithm gives massive positive clout to items fulfilled by Amazon. In this case, it thinks the Prime offer is a better overall value to the customer, even though it costs $85 more. If there were no Prime offer, “Northern Tool” would almost certainly win the Buy Box every time. Loss leaders are products sold at a loss (perhaps below cost, or perhaps just below acceptable margins). This popular retail strategy works especially well on Amazon. You might think of this as the razor and razor blades strategy. For those who don’t know, most shaving supply companies sell the razors at a loss but sell new blades for those razors at a hefty markup. Customers gladly buy the overpriced razor blades later, since they’re still cheaper than buying new razors. Bam—profit! So what is your Amazon sales strategy to make this happen? It’s virtually impossible to sell anything until you have a high Amazon seller rating. Selling at a loss can help you get those first sales you need to establish yourself as a reliable and trustworthy seller. Loss leaders can help establish a new product or brand that has no Amazon reviews yet. In particular, self-publishers using Amazon’s Kindle Direct Publishing often does quite well by using Free Book Promotions to garner attention before actually selling the book. Just keep in mind that this strategy may lead people to think the product isn’t worth the price you plan to charge later. Don’t use it when you’re trying to differentiate something based on quality or luxury. Buyers who are interested in one of your products may like the other things you have to sell. You, therefore, want to get them to your profile, where they’ll see the rest of your selection. They may click on the listing after seeing your low price. Then, even if they don’t want to buy that particular item, they may want to see if you have similar products they want more. They may buy the item and then check your store for compatible accessories or other related items. Above: A visitor can find your seller profile by clicking the link on a listing. The top link goes to the manufacturer’s storefront; the lower one goes to the profile of the seller who’s won the Buy Box. Below: This manufacturer’s storefront is designed to sell more to buyers interested in any one of their products. Note that this only works if you can turn a profit once you get people to your seller profile. For example, if you sell a computer at a loss, make sure you sell related mice, mouse pads, keyboards, flash drives, laptop cases, and so on for hefty profits. This mainly works for sellers with similar or complementary products. Sellers who offer a wide variety of unrelated products will have a tougher time succeeding with it. Too many sellers rely on instinct and opinion when setting prices. This often results in prices that are too high to sell or lower than they could be for optimal profits. With prices on Amazon changing millions of times per day, it can be impossible for humans to crunch the numbers fast enough to set the ideal price. Obviously, somebody has to sell cheaper products, and it’s often especially tempting to do so when using loss leaders. However, sticking to high-quality products usually gets much better results. Keeping return requests down will lower your losses and leave you with more time to focus on selling. And with a high Amazon seller rating, you’re much more likely to make sales. Say goodbye to lose leaders! It’s also worth noting that Amazon’s customers aren’t particularly stingy. eBay is the home of serious bargain hunters; the average Amazon buyer cares much more about the quality of their experience and the product. The Buy Box is Amazon’s Holy Grail and the end goal of most successful Amazon selling strategies. 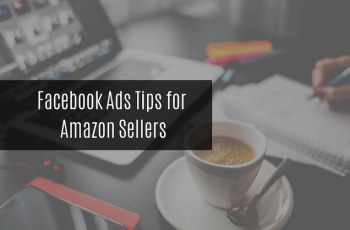 It’s commonly said that 90% of all Amazon sales are made through the Buy Box, and sellers who have won the Buy Box can often sell at prices 20% higher than their competitors. It’s as big a deal as having your website ranked #1 on Google. Amazon uses an enormous variety of metrics for determining who can win the Buy Box and never gives out exact numbers. But most boil down to this: treat your customers as well as possible. Consider which administrative activities you can manage effectively and easily and which you would like to avoid. There is not one right answer, but keep in mind that most items that go from FBM to FBA see a 10%-20% increase in sales and a boost of 40%-50% once they are sold directly to Amazon. Sign up for a trial of SellerApp today to experience superior results and increase your sales and revenues!